Harare - Thirteen years after the heinous act that left millions destitute, Operation Murambatsvina is back. Operation Murambatsvina (Move the Rubbish), also officially known as Operation Restore Order, was a large-scale Zimbabwean government campaign to forcibly clear slum areas across the country. The campaign started in 2005 and according to United Nations estimates has affected at least 700 000 people directly through loss of their homes or livelihood and thus could have indirectly affected around 2.4 million people. Robert Mugabe and other government officials characterised the operation as a crackdown against illegal housing and commercial activities, and as an effort to reduce the risk of the spread of infectious disease in these areas. However, the campaign was met with harsh condemnation from Zimbabwean opposition parties, church groups, non-governmental organisations, and the wider international community. The United Nations described the campaign as an effort to drive out and make homeless large sections of the urban and rural poor, who make up much of the internal opposition to the Mugabe administration. 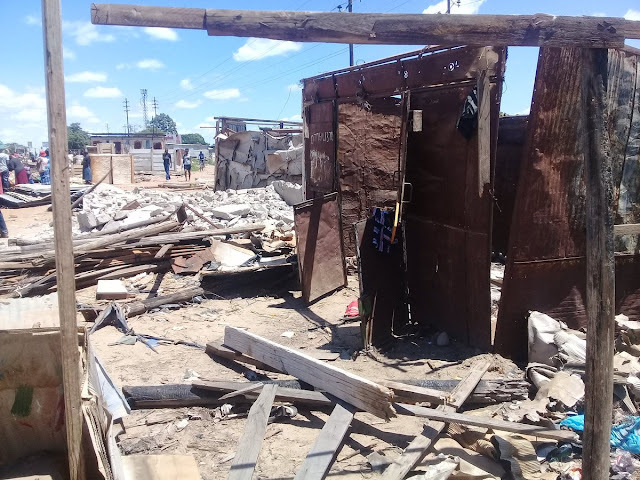 Now, Harare and Chitungwiza councils have begun demolishing illegal structures and tuckshops in preparation for the urban renewal project to be launched soon. Illegal vendors are also being removed and relocated to designated trading sites. 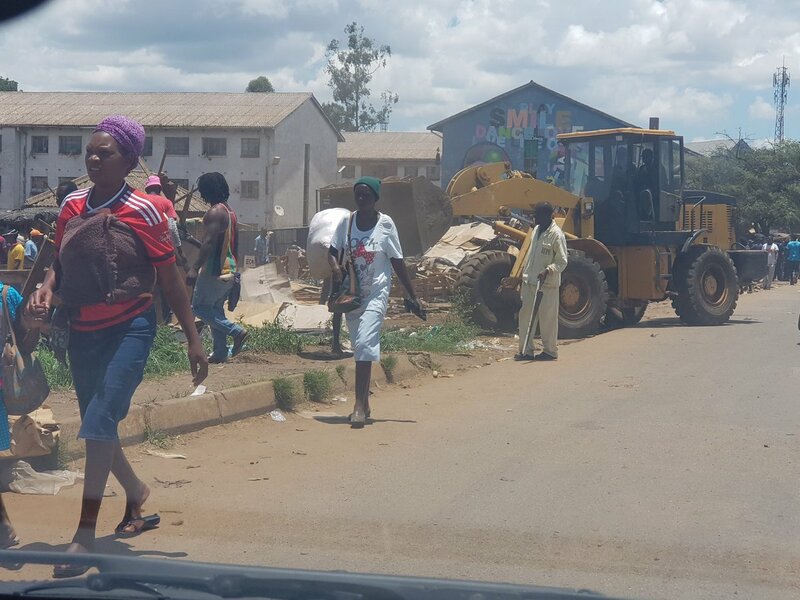 Harare City Council began its citywide exercise in Mbare over the weekend demolishing illegal tuckshops. Those involved in the illegal activities were blocking roads, walkways and entrances into rate-paying businesses. Harare City Council spokesperson Michael Chideme yesterday said a grand master plan on urban regeneration would be unveiled soon. “Cleaning of the city is the mandate of Harare City Council,” he said. “We want to be amongst the competing world cities in terms of cleanliness, hygiene and behaviour change amongst the residents. “We want Mbare to breathe again, we want to free the walkways and bus ways. “We want to restore land uses in Mbare. We have a grand master plan, the renewal or regeneration of Mbare that is coming soon. “That regeneration can only take place when systems are in place in terms of order. That’s why we have embarked on this exercise.” Chideme said council wanted to ensure all businesses operating in Mbare had ablution facilities. “Some of the established businesses in Mbare are congesting the public facilities,” he said. “Private business must have their own facilities because they are stand-alone businesses. We want to make places such as Mbare free for the woman and girl child. “They need to go there with a sense of freedom that they will not be harassed, that their bags will not be snatched from them and that they will not be physically abused. A visit to Mbare yesterday showed that illegal tuckshops and structures in most areas, especially those surrounding the bus terminus, had been demolished. In Chitungwiza, the cleaning exercise began on Friday with illegal structures being pulled down in areas such as Unit C and L, Makoni and St Mary’s. Chitungwiza Acting Town Clerk Dr Tonderai Kasu said council was working with law enforcement agents in restoring sanity in the town. “There is a pre-existing circular from Central Government that was sent to all local authorities last year which was directing all local authorities to conduct clean-up operations and clean-up campaigns,” he said. “What is happening now is just intensification of work that council had previously been directed to do. As part of the planning process for the current operation, there was an exercise done to identify the sites that vendors are going to be relocated, and this exercise was done before the start of the current operation.